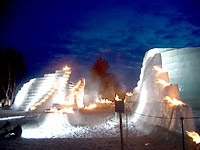 The Snow Show project involved the construction of 17 snow and ice installations in Rovaniemi and Kemi. The process was extremely demanding, due to the tight schedule, the sheer amount of work, changes in temperature from -35 to +6 degrees Celsius as well as the high quality requirements set for the finished pieces. 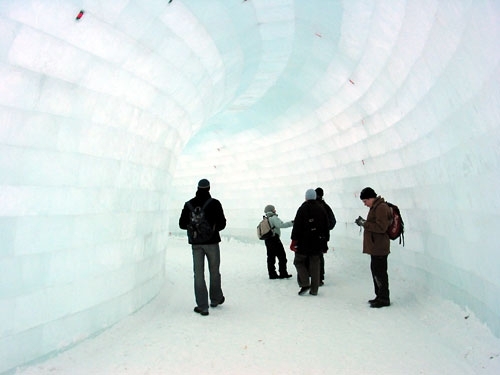 Most of the designing architects and artists did not have any previous experience with snow and ice structures. 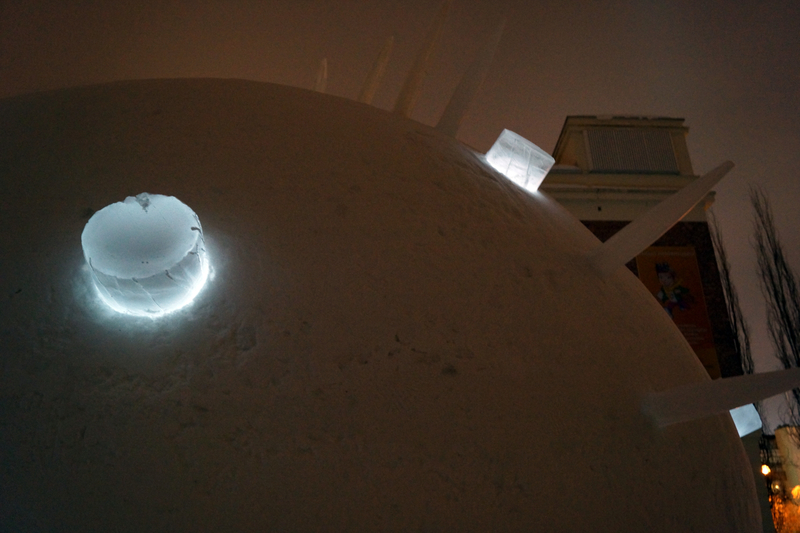 This added to the challenge, because the designers had to learn the possibilities and limitations of snow and ice, while the builders needed to understand the vision of the designers for the finished pieces. Construction was begun in November 2003 by creating small scale models of the most demanding pieces and those that required the use of new techniques. The colored pieces required experimentation with numerous pigments, different freezing techniques, the quality of colored ice and its melting processes. Based on the results of the experimentation, construction methods and plans were modified so that the structures could be realized within the given time frame, and that the results would yield the expected results in both the form and quality of the finished pieces. In order to realize the designs, new working methods had to be invented. About half of the work involved never before attempted snow and ice construction. 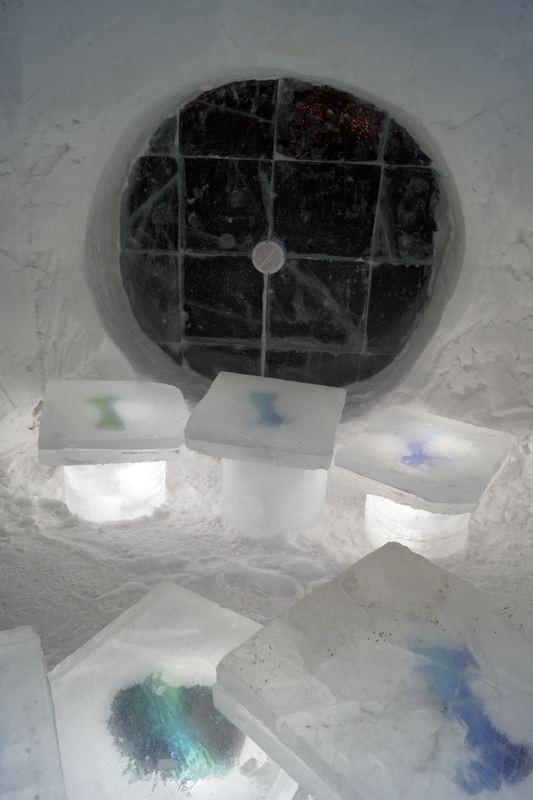 The casting of colored ice into molds, a free-form ice cover created through a spraying technique, and the creation of an ice structure from blocks of ice containing cylinders of colored liquid, are all examples that required new techniques and creative thinking. 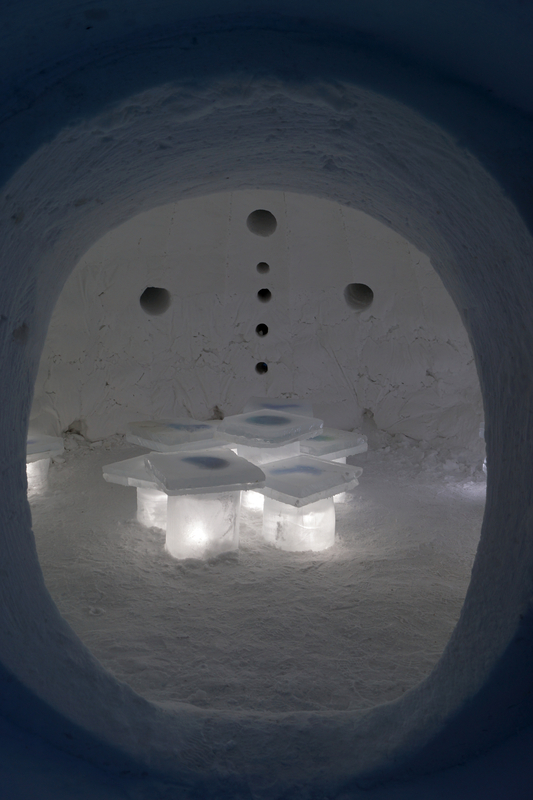 The construction of the semi-circle ice vault (Ando/Miyajima) and the 10 meters tall ice labyrinth (Isozaki/Ono) consisted of more traditional wall and vault building techniques. But in this shape and scale, such pieces have not been built before. The project has a major impact on snow and ice construction, both in its global visibility and for its use of new technology and innovation. The methods used can be exploited widely around the world in areas where winter climate makes snow and ice building possible. This project will hopefully encourage growing interest in snow and ice fantasy construction, irrespective of season and place!